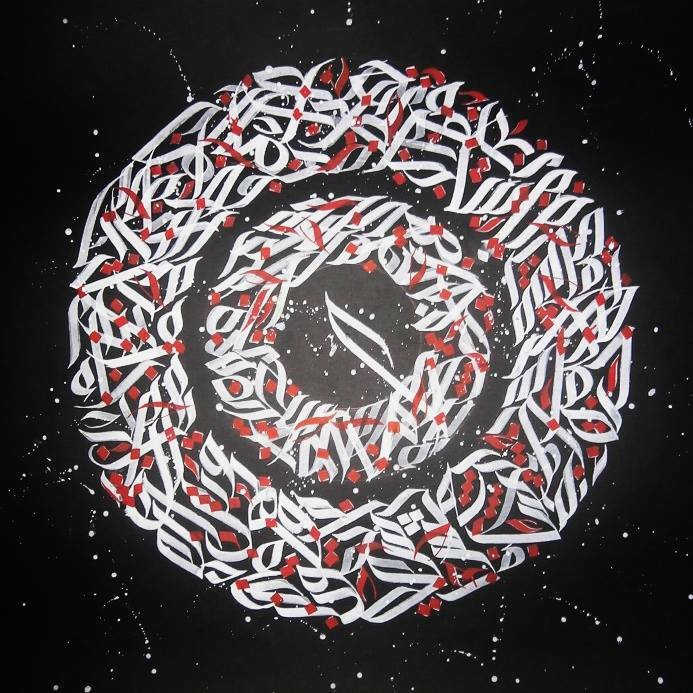 Naguib is a street artist form Cairo, Egypt currently based in Marseille, France. 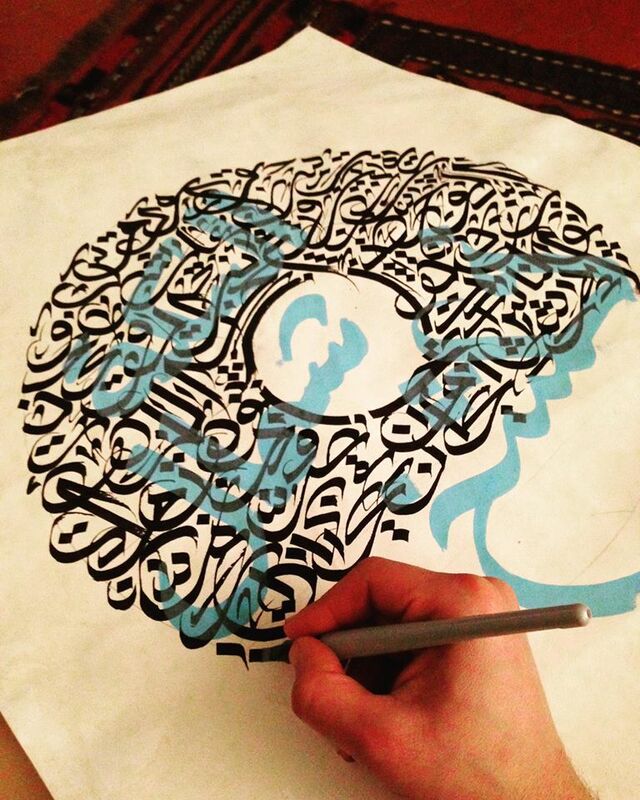 His work consists of political street art (stensils) mixed with arabic calligraphy. Naguib’s artistic approach is heavily influenced by the Egyptian revolution in 2011. Since then he is striving to experiment and develop further his work by travelling and collaborating with artists worldwide on concept based projects. 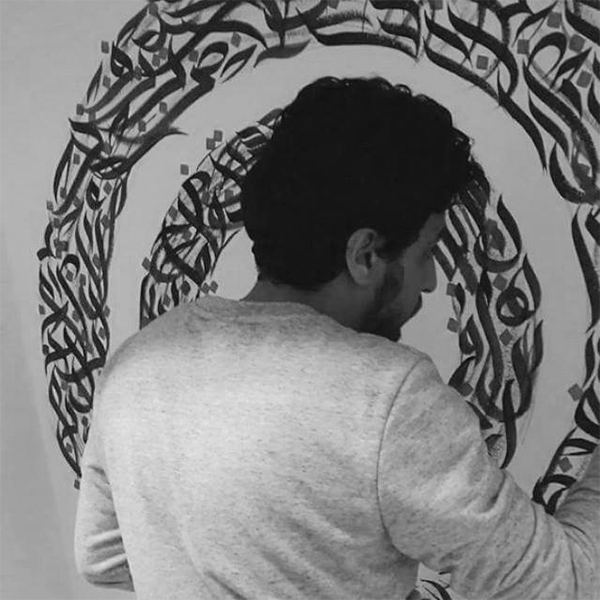 ‘I was motivated to participate in the Digital Calligraffiti project, because of what the project represents and stands for, which is creating the public space for free expression and let the artists & audience freely share their thoughts on issues like the refugee crisis, war, racism and other modern society problems. It was a good chance for me to send my work to the other side in Berlin and back. This performance inspired me the most. I want to continue writing about these ideas, I want to write freedom and peace messages on walls EVERYWHERE, especially in places where people need to see art and listen to music, in places where people need to breathe freedom’.